The rounds of competition may be confusing for someone not familiar with how the competition works. But boiled down to its basics, it is much like the elimination rounds involved in basketball&apos;s March Madness. Individual breeds compete among themselves. 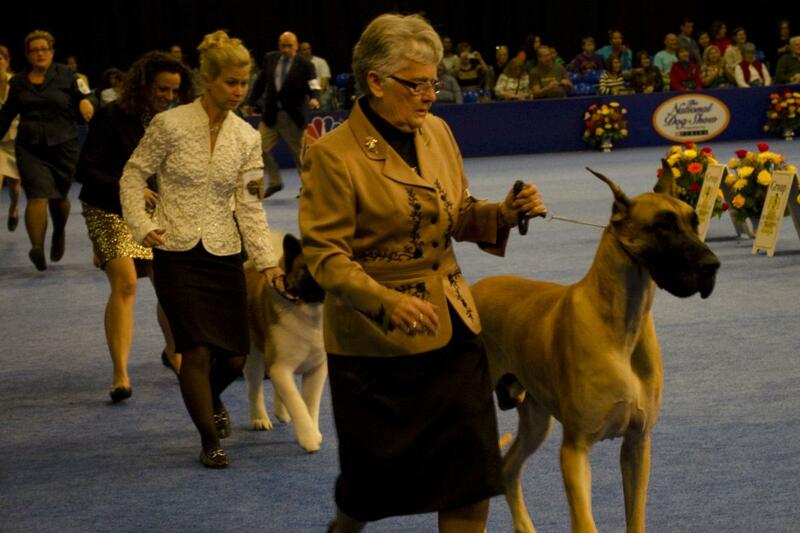 Their best then elevate to one of seven groups: terriers, toys, working, sporting, hound, nonsporting and herding. The winners at this group level then vie for the top prize, Best in Show. Dogs are judged against a list of qualities that the AKC has determined as the exact characteristics that distinguish one dog from another. As brackets continue, the issue before the judge becomes increasingly difficult. By the time Best in Show is called, the winner is the ultimate specimen of that particular collection of qualifiers. The history of showing dogs in Philadelphia goes back to the late 1800s, and a canine competition was even part of the city&apos;s 1876 Centennial Exhibition. The point back then was to evaluate breeding stock, much in the same way cattle and poultry were shown. Over the years, the Kennel Club of Philadelphia was established (even before the American Kennel Club [AKC]), and its recognition for canine excellence was cemented in 1912 with its first show. The competition took a brief hiatus for the Great Depression, but from 1933 onward, it has been a highly anticipated and prestigious event among fans of man&apos;s best friend. One of the distinguishing features of this event is that even in its 2015 iteration, it remains a "benched" show. What that means for spectators is that the dogs are required to be onsite for the duration of the two days of competition. The public is invited - in fact, encouraged - to stroll amid the various breeds at the Greater Philadelphia Expo Center, view the dogs up close and personal and after asking permission, reach out for a pet or a gentle ear scratch. 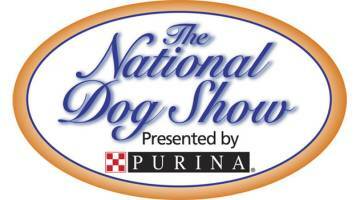 The National Dog Show remains one of only a handful of benched shows still in existence in the U.S. The 2018 National Dog Show also has plenty for the casual pet owner. An extensive marketplace is incorporated into the Expo Center weekend, with vendors offering every kind of pet supply. 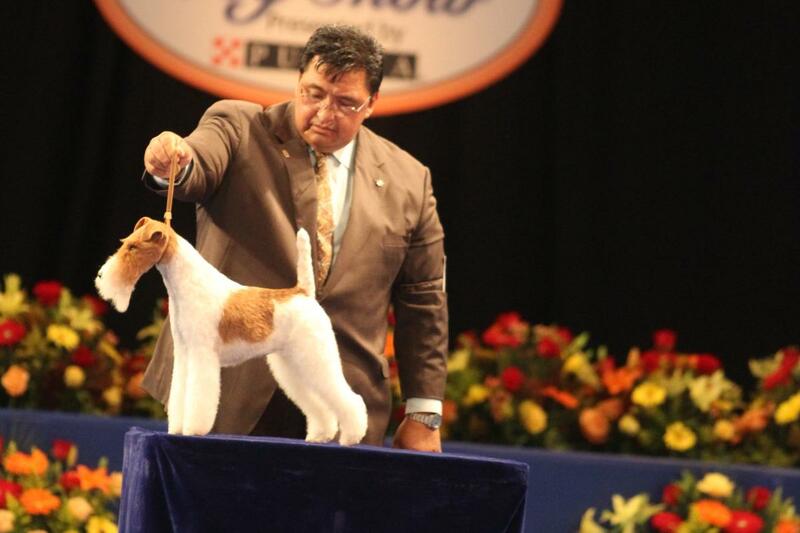 Entertainment and education are also part of the dog show experience. 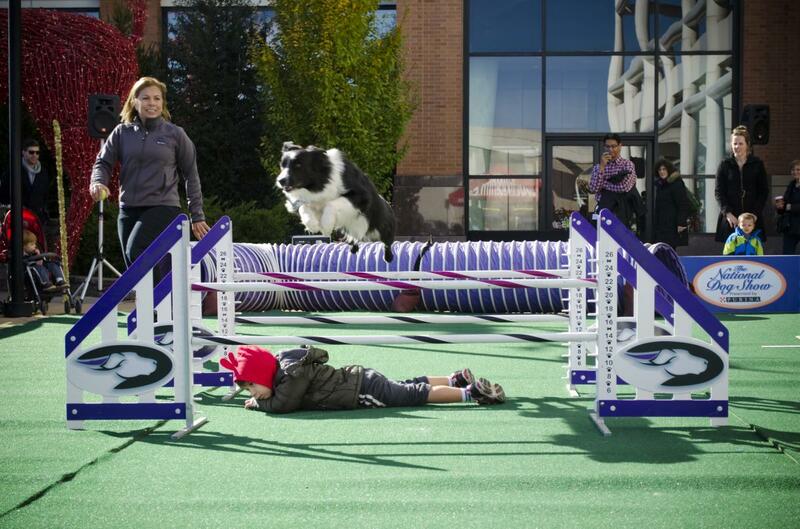 Various rescue groups bring puppies and other adoptable dogs; demonstrations in the past have included agility, dock-diving and other athletics; and therapy dogs are usually onsite giving kids cuddles and kisses. Attendees may also spot a celebrity. Show host John O&apos;Hurley can usually be found strolling the aisles on Saturday morning, and NBC broadcaster Mary Carillo is frequently filing reports. The entire event is taped, with the broadcast running Thanksgiving Day, just after the Macy&apos;s Parade from New York.